Whether this is clever or ridiculous, I don't even know. Today I came across this new beverage in the grocery store. Oligosaccharide? I could not tell you what that could possibly be, though. Ironically, it also states that fruit juice counts for less than 10% of the beverage. I wonder what kind of drink this is? I’m curious to know if anyone has tried it. Please let me know what it’s like! Also, recently I realized that people are subscribing to this blog. If you’d like to recieve a notification every time I update my blog, feel free to subscribe! 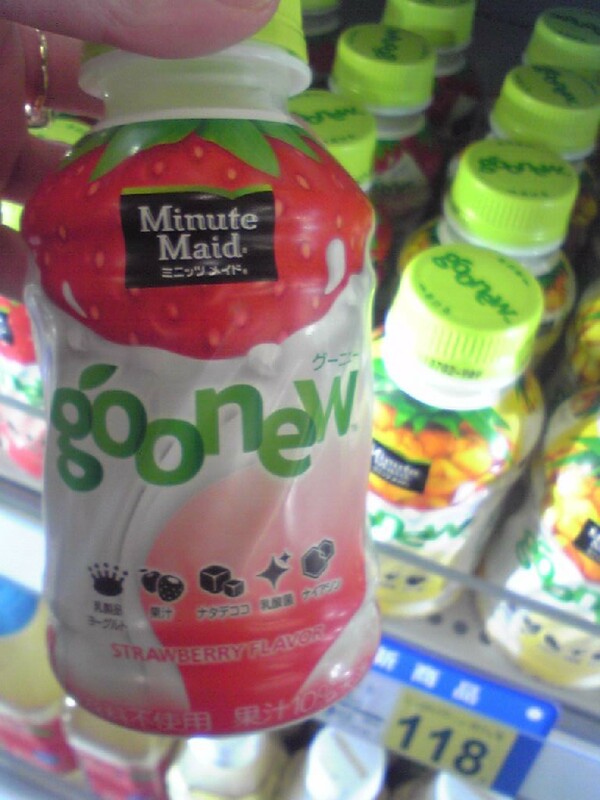 Now, to work on making new videos..
Posted in Food, fukuoka, japan, Only In JapanTagged グルメ, グーニュー, ミニッツ, メイド, Beverage, Bizarre, Coca Cola Japan, 食べ物, 飲み物, food, fukuoka, Goonew, japan, japanese, japanese food, Milk, Minute MaidBookmark the permalink. 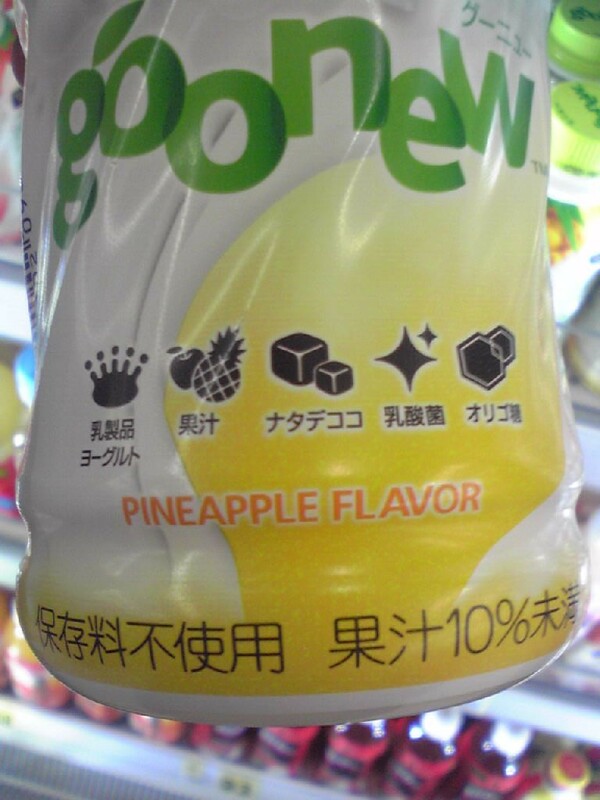 … Here in spain, we only have the “classic” flavours… it’s amazing the amount of drinks that you have in japan!! i think the oligo stuff is good for your intestines. like yogurt is good for ur intestines. it assists the good bacteria…or hinders the bad. at least i associate it with that sort of benefit…though come to think of it im not sure where i got that info…..
the collagen marshmallows i rot my teeth out with daily has it too. Hey Ciaela, been watching your videos for a while (they’re nice). Speaking of drinks (or food)Have you ever heard of SouZouCreations ? The strawberry is delicious! Got it at the Tokyo train station on my way to Narita Airport. Yum yum.